Plovdiv - culture crossroads and picturesque nature Bulgaria, situated in the south-eastern part of Europe, and in the eastern part of the Balkan Peninsula, had been a land of many ancient civilizations and great peoples, all anxious to leave marks of their turbulent history: bronze and iron spears and arrows, stone buildings remains, messages to future generations carved on rocks and stone columns or written on parchment or leather. For centuries, the roads passing through the territory of our country have been connecting Europe to Asia and Africa. Four common European transport corridors, connecting Western and Northern Europe with the Eastern and Southern part of the continent, cross their roads right here. Plovdiv is the second largest city in Bulgaria, situated on the Maritsa River. Its unique location on these ancient crossroads has stimulated strong cultural and political influences from East and West civilizations, and yet maintained its unique cultural identity. Being older than most of the oldest towns like Rome, Athens, Carthage or Constantinople, an almost contemporary of Troy, Plovdiv is a town built upon layers of towns and a culture developed upon layers of cultures. The city is situated in the centre of Southern Bulgaria, in the flat Upper Thracian Plain, along both banks of the river Maritsa. Not far away from Plovdiv are the beautiful Rhodope Mountains. The favourable climate conditions as well as the good geo­graphical location have contributed to its ascending devel­opment from the remote past until modern times. The city has preserved extremely valuable cultural monuments from the Antiquity, the Middle Ages and Bulgarian Renaissance coexisting in harmony with contemporary culture. 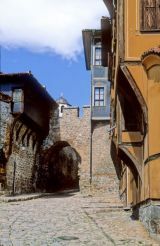 Plovdiv, given different names during the centuries, has wit­nessed the history of the region and the Balkan Peninsula. It still keeps the ruins reminding of the Thracians, the Romans, the Slavs, the Bulgarian State, the Byzantines and the Turks. In 342 BC the town was conquered by Philip II of Macedon, father of Alexander of Macedon, and named Philipopolis . The founder of the town built better fortifications and new walls around it. He placed a strong garrison in the town and made it a centre of Thracia. In the middle of 1st century AD Philipopolis was seized by the Romans and was incorporated into the Roman Empire , hence the Roman name of the town -Trimontium ('the town on the three hills'). During the 2nd-3rd century AD Trimontium became the metropolis of the large province Thracia Romana and had its own Senate. At the end of the 4th century, Trimontium was included into the boundaries of the Eastern Roman Empire - Byzantium. During the 6th century Slavs settled down there. After the foundation of the Bulgarian State in 681, Plovdiv was a border town for a long period, frequently changing its sovereigns. In 1364 the Turks invaded Plovdiv and gave it a new name-Philibe. Being on the threshold of the Orient, the city turned into a busy centre of trade and handicrafts, along with Istanbul, Thessaloniki and Edirne. 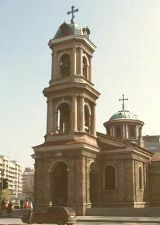 In the 19th century the city was the centre of the Bulgarian Renaissance. 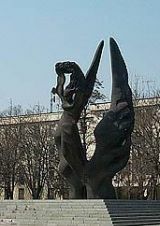 After the Liberation of Bulgaria the citizens of Plovdiv contributed greatly to the Reunification of Bulgaria , which took place on 6 September 1885. 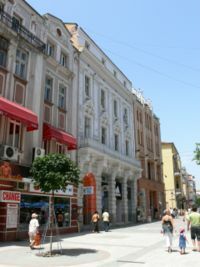 In the 20th century Plovdiv became the second most sig­nificant economic and cultural centre in Bulgaria. Plovdiv is a unique example of multi-religious and multi-ethnic tolerance. Under today's downtown section of Plovdiv are the ruins of an enormous Roman Stadium with a length of 180 m and with a capacity for 30, 000 spectators. Marble reliefs, pot­tery and other relics provide evidence of the Bulgarian influ­ence in the city during the Middle Ages. Plovdiv is a picturesque town, with many parks and gardens, museums and archaeological monuments. Its old part, called the Old Town, with houses from the National Revival period (18-19th century), is an imposing open-air museum situated on the three hills of the ancient Trimontium. The Ancient Amphitheatre , the most impressive edifice of Roman times, was discovered during reinforcement works at the southern fortress wall. Nowadays, it is used for stag­ing opera and theatre festivals, concerts, municipal cele­brations. Plovdiv never fails to impress with the rich cultural and historic heritage coexisting in harmony with the con­temporary culture. A walk around the Three Hills is like a journey in time - from the antiquity to the modern times. Best preserved is the gate (Hisar Kapiya ) of the fortress, built during the reign of the Roman emperors Trajanus and Marcus Aurelius. The oldest Orthodox churches in Plovdiv are St. St. Constantine and Elena, St. Marina, St. Petka, St. Nedelya and The Holy Mother. Dzhumaya Mosque and Imaret Mosque rank among the major architectural monuments from the period of the Ottoman Empire. The beautiful houses in the Old Town of Plovdiv date back to the period of the Bulgarian Renaissance. Many of them have been proclaimed cultural monuments. Four museums are based in the city - the Archaeological Museum, the Historical Museum, the Ethnographic Museum and the Museum of Natural Sciences. 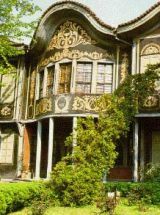 The Ethnographic Museum occupies one of the most beau­tiful houses of the Renaissance period in the Old Plovdiv. Its collection shows the elaborate culture and civilization of the Plovdiv region, including the history and development of agriculture, crafts and trade. The rich diversity of folk culture is shown: garments, fabrics, embroideries and the music and dances, characteristic of the two main ethnographic groups in the Plovdiv region - the Rupets and the Thracians. The Historical Museum has four departments, each found­ed at a different time. They trace the historical development of the Plovdiv region from the Early Ottoman period (15th-17th c.) up to the present day. Plovdiv is famous for being the City of artists. During the time of the Bulgarian Renaissance many icon-painters from different parts of the country came to work here. The first art exhibition ever staged in Bulgaria was organized in Plovdiv in 1889. The City Art Gallery was set up in 1910. Plovdiv State Opera was established in 1953. Its repertoire is aimed mainly at the great achievements of the European opera art. It has created an appropriate artistic climate for international guest producers and singers. Many prestigious festivals are held in Plovdiv - international music, cinema, theatre and folk festivals. 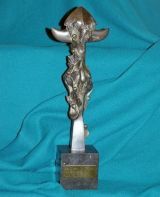 A proof of the international recognition of Plovdiv was its nomination as host of the most comprehensive cultural programme of the European Union -the European Cultural Month 1999, which turned into a great event. 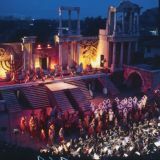 The Verdi Festival, which is held in June and July at the Roman Amphitheatre, attracts wide audiences not only from Bulgaria, but also from other countries. It is one of the most spectacular and dazzling cultural events in Plovdiv. The Chamber Music Festival held in June in the courtyard of the Ethnographic Museum, features prominent Bulgarian and foreign musicians. Plovdiv Dramatic Theatre has won a reputation as one of the leading cultural institutions in the country. Its repertoire includes classical and modern plays by prominent Bulgarian and foreign playwrights. Plovdiv Dramatic Theatre is the host of the International Theatre Festival called Stage at Crossroads. The Golden Chest International Television Festival with its 33-year-old history, makes Plovdiv very popular among Bulgaria's culture circles. It is held in October. 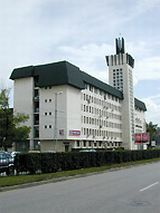 Many foreign and Bulgarian TV films are presented. International Fair Plovdiv, held in Plovdiv, is Bulgaria's largest and oldest international trade fair. It was established in August 1892 as an industrial and agricultural show. During its first year, the Plovdiv Fair had an exhibition area of 90,000 m?, participants from 24 countries and 162,000 visitors during its two and a half months. A National Industrial Exhibition was organized in 1933 that had 424 exhibitors and 120,000 visitors, being the first sample fair in Plovdiv. A second followed in 1934, when the Plovdiv Fair was proclaimed permanent and the only in Bulgaria on 16 May. The fair officially became an international one by joining UFI in 1936, when over 1000 Bulgarian and 385 foreign companies took part.